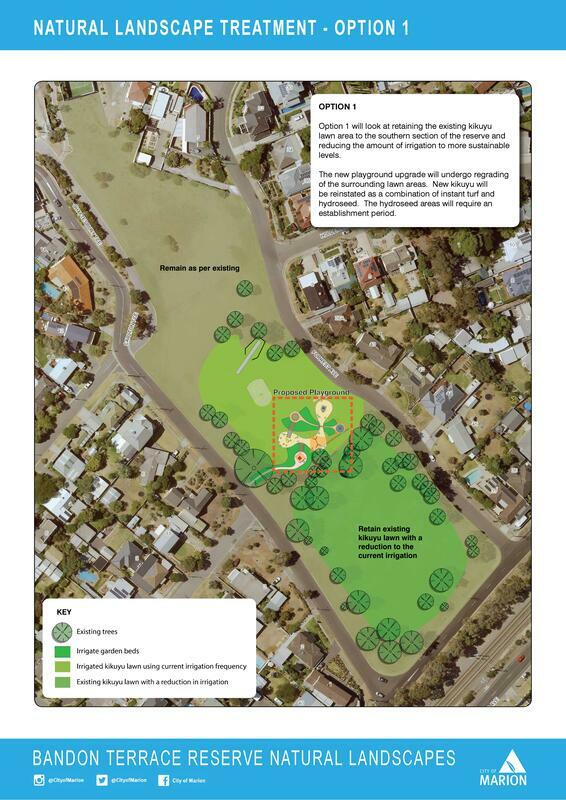 After local concerns, petition and deputation regarding an innovative pilot re-vegetation plan with Native plants and grasses for the Southern end of Bandon Terrace Reserve to provide a more sustainable and water-wise section of the reserve. Marion City Council organized a Public Meeting to hear from the community directly, take their feedback on board and offer some alternative options to addresses their concerns. The Council Landscape Team, lead by Joanne Reid ran the meeting and opened proceedings by explaining the rationale behind the proposals and acknowledged that Council had not consulted adequately given the complex and innovative approach. 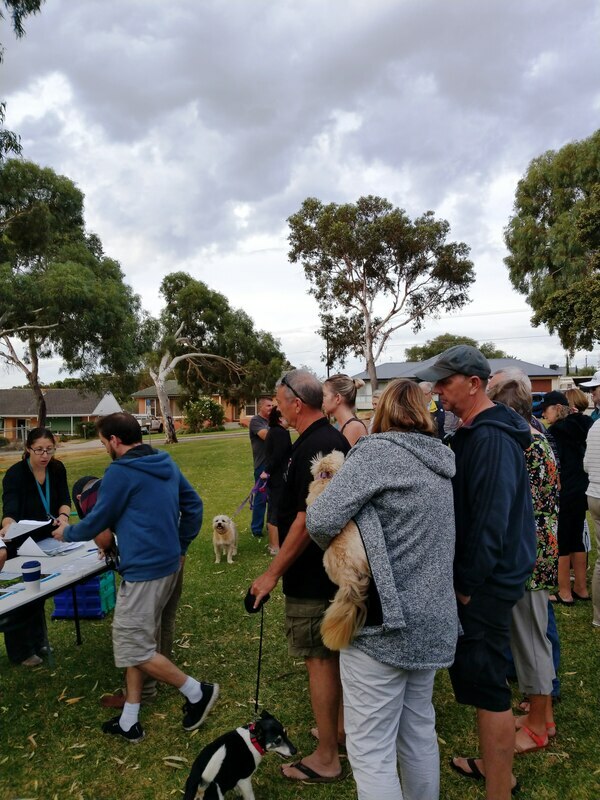 Three options (opposite- & link here) were tabled for residents to review, indicating that Council had already listened to the concerns and were flexible on the final solution. The weather was kind and the ambiance added weight to why this “park” is so special and a considered a community wide asset. 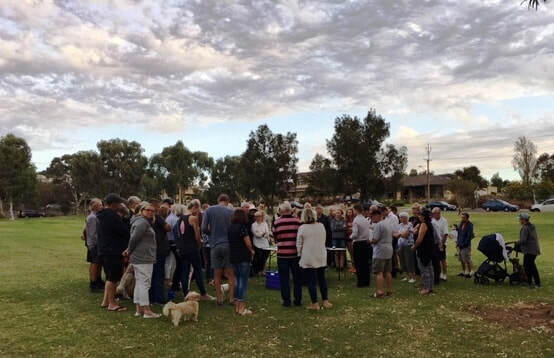 Over 90 (97) local residents attended the Public Meeting on the reserve and 20 people registered to address the meeting. It was impressive to see how many people attended, quickly allaying concerns that 150 signatures on a petition does not always translate into real commitment or understanding of the cause. This was further emphasised by the consistency of presentations, their quality and the respectful way the proceedings unfolded. In particular nearly all acknowledged the Council for their initiative in organizing the meeting and being prepared to listen and take on board their considered feedback. It was a proud moment for the 5049 Coastal Community to experience the passion and commitment of the local community to active democracy. Thank you to The Friends of Bandon Reserve and particularly Mary Raymond and Sally Liddy for their leadership and to all the residents who got active on this important issue. ; and City of Marion for facilitating this process and being flexible. 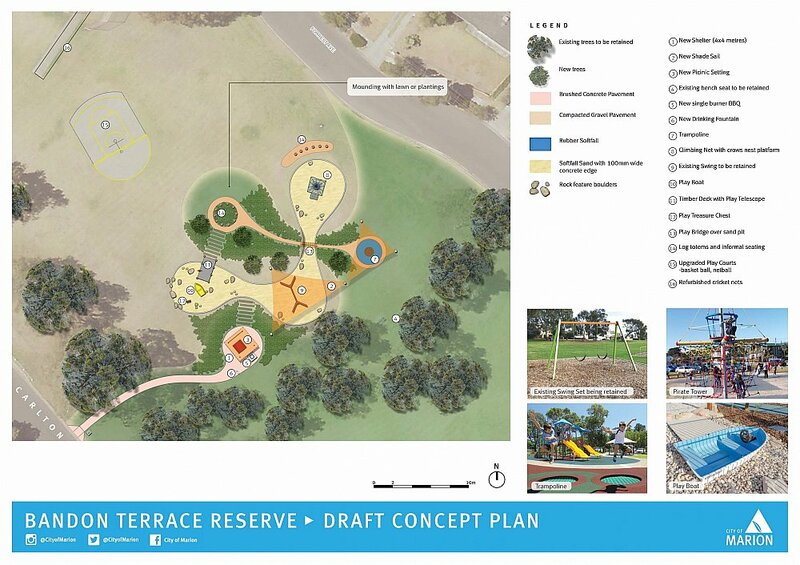 Maintain the level of amenity currently provided by the southern “park” with improvements. 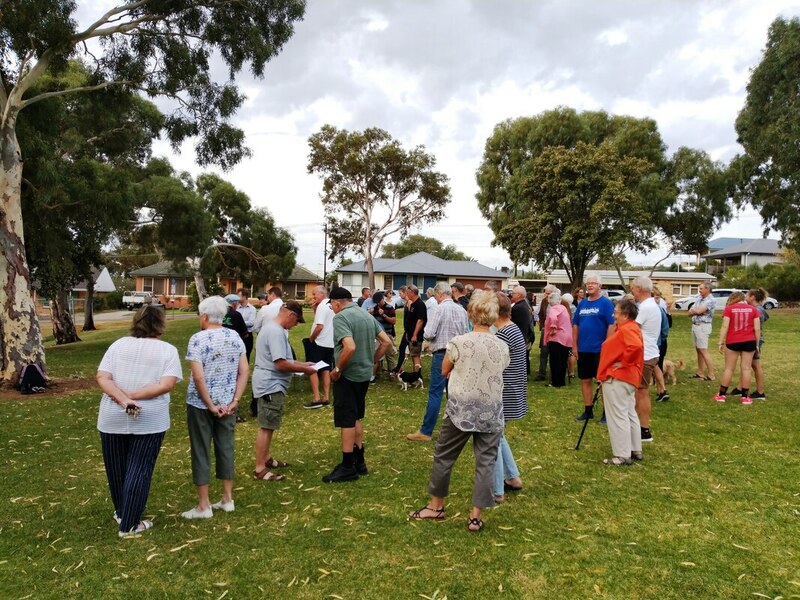 Whilst not the subject of the meeting the poor state of the northern end was a common theme with many asking for Council to develop a plan for that area which could include the Pilot and more native plantings and formalised paths. Several other good suggestions were proposed for the broader context of this improved reserve as an attractive destination. Local Councillor Tim Gard spoke at the end and in essence acknowledged how excellent the process had been and thanked all for their thoughtful input ,which would ensure that the outcome would reflect those concerns and result in a shared outcome that meets most of the community’s and council’s needs. 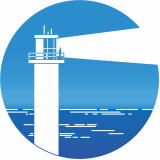 5049 Coastal Community Association would offer assistance to residents who were not as digitally connected. ​The association will continue to monitor and Liaise with Council on the future potential for local residents to continue to collaborate with Council on this important open space. A proposal for enhanced landscaping works to the Eastern end was sent out for public consultation in Sept 2018 click here there was some feedback at the time including one from the association. Concerns focused on the adequacy of grasses for summer ball games at the eastern end. It is noted that the area would also be leveled as part of the proposal. Council's advice was it would be adequate for ball games. This is a pilot project for Marion and attention to the establishment would be a priority, including some irrigation. This is part of an overall strategy to reduce watering costs whilst maintaining amenity and improving appearance. If successful it would be of great benefit to all. As a result the approach was successful and Council agreed to hold a public meeting on site on April 17 @ 5 pm prior to any further works being undertaken see flyer. This will enable locals to hear directly from Council on the proposals and to share their concerns and ideas. The association will help publicise this process and advocate for optimum timing to get the most representation at the meeting. Many residents are also unhappy with the condition of the western end. This has been exacerbated by the building works on Forrest Ave utilising this area as a Depot. Although the current proposals are limited to a key project within budget there should be an overall vision for this important open space. During the public consultation there were many ideas that could be considered.